Treat yourself to a Double Thick Full Zip Sweatshirt made with two layers of thick, warm cotton fleece. It's like combining the warmth of a sleeping bag with the mobility of not wearing a sleeping bag. These heavyweight sweatshirts are made with two layers of thick, 13 oz. 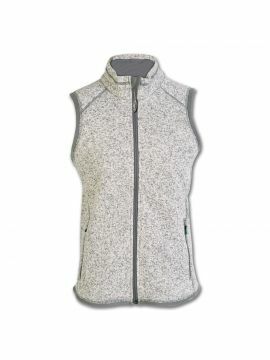 pre-shrunk 100% cotton fleece for warmth, and gusseted armpits for freedom of movement. The full zip front extends past the chin for added coverage in colder weather. We also added an interior zip pocket and two vertical hand warmer pockets. The oversized hood fits over a hard hat or helmet, making this warm full zip heavyweight sweatshirt the perfect choice for when you’re on the job or out doing your thing. Arborwear Double Thick Sweatshirts may feel tight as you pull them on as the Double Thick layers of Cotton Fleece don't stretch quite as much as our Single Thick style. Once on, our Double Thick Sweatshirt will loosen up. If you prefer the fit of a big, baggy sweatshirt, we recommend you order up one size. Had my double thick hoodie for nearly 10 yrs now and it is the best. That and my barn coat makes me through the winter here in Western NY. Put it under my leather and go out for a ride and staying warm. Best hoodie I've ever had. Need a new one this one is getting worn out a little. I live in northern CO, almost to Wyoming, at 8500ft. Winter is no joke here. For the past 5yrs, I've worn this sweatshirt with a tshirt under it, almost every work day. Granted I'm not outside in it all day, but the times I am outside this does the trick. I noticed last winter the zipper was starting to go, so I'll be getting a new one soon. Nothing lasts forever, but I don't own anything else that I used every day for 5yrs and isn't broken. I've been looking for years for these sweats. I purchased both the double-thick sweatshirt and sweat pants. As I've gotten older I find that I get chilled in the Winter more easily and my home, built in the energy free 50's, has very insulation in the walls (none, actually). After last Winter when I realized I was staying in my office longer just to keep warm I was determined to find just the right clothing to wear when I get home. I found it! Who would have thought to spend this much on a set of sweats? Worth every penny! When I get home I shuck off my suit and put on these wonderfully warm and very well made sweats. If there is any problem is that I tend to live in them at home in the evening and on weekends and my family is tired of seeing me in the same clothes all the time. I think they're just jealous. I like the thick fabric, arm gussets, hard-hat sized hood, extended zipper, and internal pocket. The fit, however, is not good. The torso is much too wide and the arms are too short, especially if you're doing overhead work. This sweatshirt rocks harder than Pantera. We live in Fargo, ND, and this has been the mainstay since it started getting cold in September. The craftsmanship is absolutely awesome and first-rate: zipper, cuffs, fit, waistband, inside pocket..from to bottom there are no flaws in design. It trashes other jackets and sweatshirts without remorse. It even washes quite easily. My first Arborwear purchase and I am very happy. This sweatshirt is awesome! I own both the double and single thick hoody, so was really excited when the zip-front came out. I bought one as a birthday gift to myself, and wear it all the time. The best part is that a friend of mine bought me one for my birthday too! So now I have two. I can color coordinate my hoodies! Great product, great value, great quality. Thanks Arborwear! The best sweatshirt I have ever owned. Well worth the money. If you work outside this is a must.